A university has launched an appeal to raise £300m over 10 years. 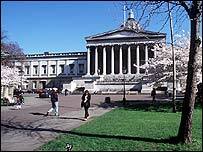 University College London (UCL) says it is the biggest ever fundraising target set by a university in the United Kingdom. And it warns that if they are going to face up to global competition, UK universities need to stop being reluctant about asking for money. The funds will be spent on bursaries, building work and supporting health research projects. UCL provost Professor Malcolm Grant said it was important to compete with leading universities in the US. He said: "I have heard it suggested that the concept of philanthropy is somehow alien to the national psyche, and that asking for money is not the British thing to do. "This is, frankly, nonsense. Most of our leading universities owe their origins to philanthropy. "Without the generosity of our founding fathers, UCL would never have seen the light of day back in 1826." The appeal - called Advancing London's Global University - will fund an ear institute, looking for a cure for hearing problems such as tinnitus. It will also provide money for the university's spinal repair unit and an institute for women's health. UCL plans a museum to hold ancient Egyptian artefacts and works by artists such as Durer, Rembrandt, Turner and Constable. Meanwhile, £50m of the targeted funds will provide support for students, in the form of bursaries, scholarships and post-doctoral fellowships. Prof Grant said: "This campaign will enable UCL, a real British success story, to enjoy the kind of resources to enable us to compete with the world's very best academic institutions." A former UCL student, CBI director general Digby Jones, has agreed to be president of the campaign. 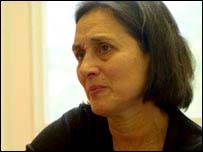 In the early 1990s, Cambridge University set a £250m for its Cambridge Foundation fundraising appeal. In the end it made £500m.